That’s a line that usually draws a big cheer in front of the Hilton Coliseum crowd during player entrances, but tonight it is for sure to draw a much larger one. 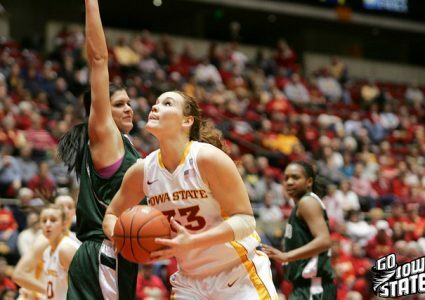 The Iowa State women’s basketball team will take on Eastern Michigan at the St. Claire Health Plex – a small gym in Carleton’s hometown at 5 p.m.
It’s not the gym that Carleton played high school ball at, but the Iowa State senior is still excited for the trip, as is her family. The Carleton’s hosted the entire Iowa State team for a dinner on Tuesday. 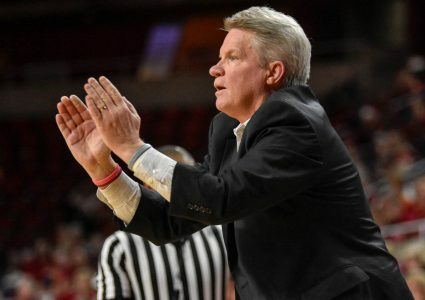 The Cyclones are coming off of a Preseason WNIT tournament championship that saw the team earn an impressive come-from-behind win over Auburn and a victory over No. 24 Miami in the tournament title game. Maybe the biggest reason for the tournament championship, not to mention the 4-0 start to the season, was the defense the Cyclones have played. Iowa State has held its opponents to 52.8 points per game and a 31.2 percent clip from the field: both being exceptionally low numbers for college basketball. Carleton says that the improved defense can be attributed to really buying into the scouting reports. Carleton also won the tournament MVP award for her play in the preseason showcase which included a big block with 2.7 seconds left on the clock. 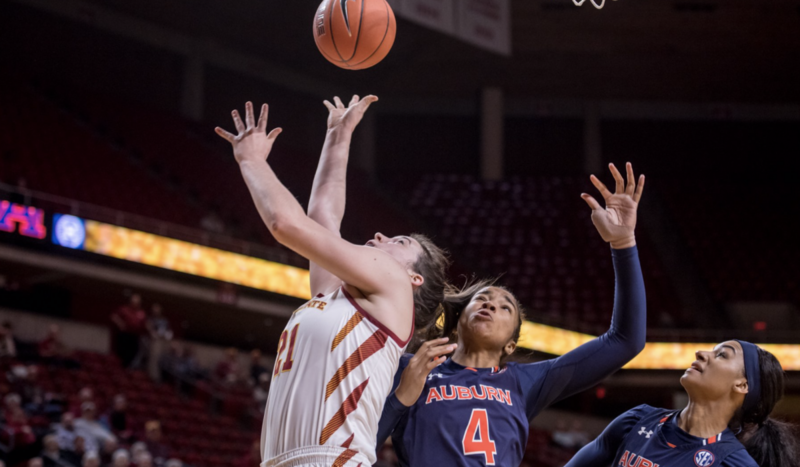 The other Cyclone to hold a spot on the Preseason WNIT all-tournament was Wise, who averaged 10.5 points per game and ended the four-game set with five steals. The number of steals is just eight less than the 13 she had all of last season, as Wise has shown early improvement in her defensive game. Wise said that she has just focused on defense more this season. That was a choice she made to improve her game. 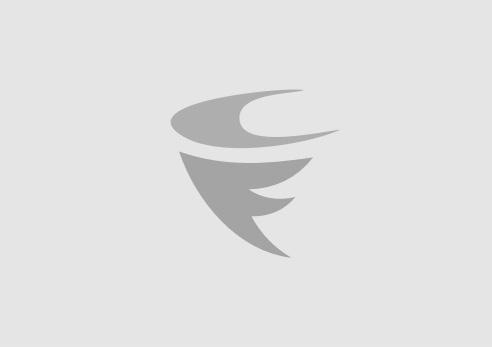 “Coach [Fennelly] always preaches during practice, ‘Defense is if you want to or not,’” Wise said. As Iowa State gets geared up to play in Carleton’s hometown, the senior is on the verge of eclipsing a major accomplishment in her Iowa State career. With just three more points, Carleton will pass both Lyndsey Medders and Janel Grimm to move into the top 10 on the all-time scoring list in Ames. “[Carleton] means so much to this team and this program,” Wise said. It’s no wonder why Iowa State worked so hard to make this game happen. Iowa State and Eastern Michigan will tipoff from the St. Claire Health Plex tonight at 5:00 p.m. CT. The game will not be on TV, but there will be updates on Cyclone Fanatic’s Twitter account.